Mountain Range deals in Weekend and Second homes. Mountain Range has launched & completed several projects at beautiful locations like- Shahapur, Karjat, Murbad, Igatpuri, Pali,Guhagar. Every person has a dream to own a property and build his own home-the way he wants to. MOUNTAIN RANGE caters exactly to these needs. Paranjape Schemes (Construction) Ltd. is a real estate developer and has over 165 top-of-the-line projects completed in the past 25 years. with ownership of several million of sq.ft of built up area as well as a special focus on creating homes and care facilities for the senior citizens through their project Athashri and Aastha, the company has maintained its success graph. PSC House, Dr.Ketkar Road, Off Prabhat Road, Pune-411 004. IRB Infrastructure Developers Ltd - is an Indian highway construction company headquartered in Mumbai. It is part of the IRB Group. IRB Infrastructure, which executed the country's first build-operate-transfer (BOT) road project, is one of the largest operators of such ventures. Currently it has about 3404.40 lane KM operational and about 2330.4 lane KM under development.Among its notable projects are the Mumbai Pune Expressway and the Ahmedabad Vadodara Expressway Etc. Aryan Toll Road Pvt. Ltd. Mhaiskar Infrastructure Pvt. Ltd.
IDAA Infrastructure Pvt. Ltd. NKT Road & Toll Pvt. Ltd.
IRB Infrastructure Pvt. Ltd. MMK Toll Road Pvt. Ltd.
Modern Road Makers Pvt. Ltd. Thane Ghodbunder Toll Road Pvt. Ltd.
Aryan Infrastructure Investments Pvt. Ltd. IRB Surat Dahisar Tollway Pvt. Ltd.
IRB Pathankot Amritsar Toll Road Pvt. Ltd. IRB Talegaon Amravati Tollway Pvt. Ltd.
IRB Sindhudurg Airport Pvt. Ltd. Aryan Hospitality Pvt. Ltd.
GTL Infrastructure Ltd. (GTL Infra) - A Global Group Enterprise; is a pioneer in the Shared Passive Telecom Infrastructure in India. We deploy, own and manage telecom towers and communication structures that are shared by the Wireless Telecom Operators. With a portfolio of about 28,000 towers located across all the 22 Telecom Circles in India, GTL Infra has emerged as India’s largest independent and neutral Telecom Tower company. Global Group is India's leading business group focused on Network Services and Shared Telecom Infrastructure. Global Group has Revenues of USD 600 Mn. and Asset base of USD 2.5 Bn. The Group has a tower portfolio of about 28,000 telecom towers and operations across Asia Pacific, Europe. and the Middle East. Global Group’s operating companies – GTL Limited and GTL Infrastructure Limited are listed on Indian Stock Exchanges (BSE & NSE). Amar Builders will endeavor to become the benchmark for the construction industry through consistent delivery of globally standardized quality of construction. Our projects have been acknowledged and appreciated by numerous awards in various segments. We are India’s one of the leading infrastructure operator and toll management company. We are a specialist service company, focusing on serving central and state road authorities across the country, for managing, operating and maintaining their road assets. Dajikaka Gadgil Developers Pvt. Ltd (DGDL) is India's leading property and real estate developers offering top quality residential as well as commercial projects. Bedekar Builders and Developers made a small beginning in July, 2005 with its debut project Paarijaat Residency. A small step in direction of big achievements. In a span of just 11 years. Bedekar Builders and Developers have carved a niche with their own aesthetic touch. Passion for quality, excellence in designs and customer delight run through each of their projects. Strong foundation of this company where laid by Shri. Ajit - Ravetkar in the year 1974, when he entered into the business of construction. In years to come this company gave Pune and its surrounding parts numerous and prestigious projects. "Ravetkar Group Of Companies", has its presence in Construction, Architecture, Information and Technology, Hospitality and various other domains. Phadnis Infrastructure Ltd., the company has over the years developed itself into a new age infrastructure development company. Diversifying into various fields and knowing the pulse of progress the group is now poised to play a meaningful role in the process of building India as a developed nation. The group owns ISO 9001, ISO 14000 and OHSAS 18001 certificates for their excellence in the industry. New 100 feet D. P. Road. Karve Nagar. F : +91 20 6724 3200. A real estate development company from Pune with over 2500 happy customers. With interests mainly in apartment development and land acquisition, the company has grown steadily. 60 Shivchhaya Erandawana Gaothan Pune 411 004. As our modest contribution to the cause of Environment Protection and Conservation, we have made “Eco friendly housing and Real estate Development” as the central theme of our company’s growth vision. Eco friendly housing - with a strong intent. right from the stage of planning and design, construction materials and practices extending to the entire life-span of the structure and the complete facility of management system." Established in 1985, Richa Realtors today stands as a well reputed real estate conglomerate. Since its inception, the group has grown to become synonymous with innovative architecture, smart engineering and unparalleled quality. S.N. Joshi Consultants Pvt. Ltd. provides consultancy for Design of HVAC, Electrical, Plumbing, Fire-fighting & BMS services, with a focus on Green Building solutions. We also undertake Project Management Consultancy. Our consultancy services include feasibility studies, peer review consultancy & quality audit. The journey of Gokhale Constructions & Properties Pvt. Ltd. began in 2004, with the redevelopment project ‘Ishaan’ in Aundh. Soon, the Company, established a string of projects in areas such as Kothrud, Mayur Colony. Dahanukar Colony, Ideal Colony, Rambaug Colony, Karve Nagar, Aundh, Hadapsar, Model colony, Prabhat Road, Peth areas of Pune, Hinjewadi etc. The Gokhale Group is committed to delighting its customers by delivering residences that re-define expectations of quality, efficiency, and the ease of doing business. In order to deliver on this promise, we have adopted a Multiple Primes delivery strategy. From homes built last year to those built over 15 years ago, we welcome you to visit any of our projects and experience both the quality of our work and the satisfaction of our customers. Tashee Group one of the most preferred real estate brands spread across high-end commercial complexes, residential developments. retail spaces, office, Mega Township etc since its inception in 2004 headquarter in Delhi, believed that there is only one mantra for success: Quality. transparency in business operations, has placed it among the leading real estate players in the country today. The beginning of the new millennium witnessed tremendous developments taking place in India that unleashed the latent entrepreneurial energy in various enterprises including construction. This group is now leading the ranks in the real estate domain and that too in a very short span of time. Today the group enjoys a pan-India presence and has already delivered over 25 world-class projects. The group also has more than 50 projects comprising residential. commercial and IT parks, in the pipeline. Amrapali’s projects delineate the skyline of Noida, the satellite city of Delhi, and other cities such as Indore, Raipur, Jaipur, Patna, Udaipur, Lucknow etc. The group, consolidating on its success, has made impressive forays into hospitality, healthcare, education, entertainment and FMCG manufacturing. As one of the pioneers in the Bengaluru real estate market, we have been known for changing the landscape of the city since 1983. To us, what matters the most is the delight our customers get when they are home. This has gained us the reputation of a quality developer who constantly seeks excellence in the industry. A leading real estate developer by providing state of the art infrastructure covering all verticals of real estate, with quality and standards matching international levels. We aim to provide fabulous real estate development for the growth of the country and our countrymen. As one of the preferred real estate developers and builders in Bangalore, our prime focus has been to deliver consistently on our promises. Backed by a team that's competent in every way, we've achieved what we set out to do - build unmatched homes, not matchboxes. Under the able leadership of the core team which brings with it vast experience in real estate, architecture and interiors, we've grown by leaps and bounds year after year. For 28 years. Established in 1995 with a vision to focus on comprehensive and reliable property services to all global public community. Wish Empire today is one of the leading provider of real estate solution. With our unique service model, we have enabled our clientele located all across India to be informed about property buying and investment decisions without stepping out from their home. Group is having its vested interest in Real Estate, Trading & Education and is into existence since 1981 having its vast presence in Kalyan. one of the developing suburbs of Mumbai. The group has its presence in to real estate, which is focused in to Construction as Builders & Developers. ALOKIK Group - a renowned name in the field of construction and architecture enjoys a very high reputation in Jaipur amidst the field of construction, development activities and quality infrastructure. The company has developed and constructed various residential, commercial township and hotel complexes in the fast growing world fame city of Jaipur alias Pinkcity. Feedback Infra is India's leading infrastructure services company, with 8,100 employees and associates. It is present in 34 countries across Africa, the Indian sub-continent, Middle-East, and South-East Asia. Feedback Infra works in transportation, energy. and urban infrastructure serving clients across Union and State governments; private developers; and banks and financial institutions. In these three sectors, it provides consulting services for new and existing projects; manages their design and construction. Sweet Hut Group has been a known name in the Real Estate Industry of Kolkata since the last 26 years. Shreepati group has been in the construction arena for two decades That’s years of expertise and experience. Our rich past has allowed us to constantly evolve and understand every nuance of building construction while keeping up with changing times. Over time, we have also grown to understand the construction needs of a consumer better. Our in depth interaction with them has given us powerful insights to provide an umbrella of solutions. Sharma and Company Private Limited is one of the leading construction companies of Nepal. Founded by our Chairman Mr. R.K. Sharma in 1966, originally as a Proprietorship Firm S&C, was later converted into a Private Limited Concern in 1980. Ever since its initiation the company has been in the forefront as one of the most dependable construction companies undertaking and executing contracts of public, semi-public, private and international concerns. Shri Infratech is the real estate trendsetter in India, who visualized and implemented the concept of planned hi-tech development on PPP (Public-Private-Partnership) model with the who’s who of real estate. With expertise in the field of bulk land consolidation, Shri Infratech has lucratively completed 10 years in real estate business. The company is ISO 9001:2000 certified for its marketing & sales practices and also maintains the premier quality standards in infrastructure and construction. Shri Colonizers & Developers Pvt. Ltd.
Prateek Group was incorporated in 2005 with a vision of quality and on-time delivery. The company was founded by Mr. Prashant - Tiwari, a Civil Engineer by qualification and a visionary & futuristic by traits. With more than two decades of experience in Real Estate and Construction, Mr. Prashant - Tiwari as Chairman of Prateek Group has been on a journey to turn people’s Dream Home into Reality. Within a small span of time, Prateek Group has experienced tremendous growth & success. Since inception, the company’s reputation is built on benchmark quality standards, rock solid values, uncompromising business ethos, customer centric approach. robust engineering and above all transparency in all spheres of conducting business which contributed in making Prateek Group the most preferred real estate name in North India. Prateek Entertainments, a part of real estate giant Prateek Group, entered the world of cinema in 2013 with the aim to identify and bring quality cinema for the discerning world audience. The company worked towards promoting cinema that has critical as well as mass appeal. Strategically, company started off with film production and moved to distribution in 2015. Accurate Developers Pvt Ltd aims to provide comprehensive residential space solutions across real estate categories and diverse consumer segments. Accurate Developers draws strength from over 25 years of experience of its management in planning, constructing, marketing and successful completion of several mega commercial and residential projects in various cities in Hyderabad, Bengaluru & Pune. The technical team has substantial experience in civil construction with first class contractors such as L&T, Shapoorji Pallonji, NCC and has eminent engineers with extensive experience in construction of residential spaces. In 2006 reigns came to his son Sh. 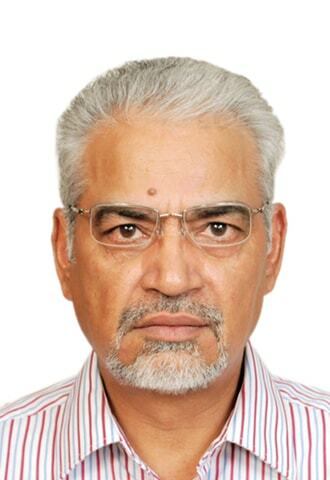 Aanand - Shukla ( now CMD Midas Group) who transformed firm into Private Limited Company in 2008. Within 6 years under guidance of Sh. S.K. - Shukla and with support and dedicated hardwork of Sh. 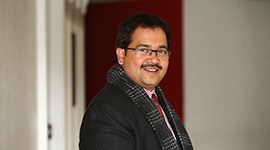 Manish - Shukla (MD) and Core Team Members. the Group diversified itself into business of Real Estate, Outdoor Advertisement and Hospitality segment. Sheetal Infrastructure has been building landmarks that not only add to the picturesque cityscape, but also ensure unique living experiences for residents. Along with all the good things that a luxurious living brings. each project also includes a complete solution that is designed with care and engineered to perfection to add comfort in every way. Spark Group, was established in the year 2000. It was initiated to process the growth in the field of Real Estate in Mumbai and setting pioneer in housing development sector. Spark Group, over the past 14 years, has grown by investing in variety of systematically identified business areas, thus making it a well diversified company with interests in wide range of projects. AMV Infrastructure and Properties was established in 2011, as a subsidiary company of AMV Builders. The focus of the company is to build quality living spaces and develop properties which in turn transform the spaces with an unmatched experience. The innovative and unique concepts put forth by the Company turns out the spaces into the most sought after places after completion. The Company always ensures to bring in uniqueness and signature elements to each one of its projects. This financial year turnover of the Company is expected to cross US $150 Million through various affordable and luxurious residential projects in South India. AMV Infrastructure and Properties are executing the group’s most prestigious residential projects. AMV Inns Pvt Ltd: focuses on building hotel infrastructure. The company was incorporated in 2011. AMV Inns have signed the Management Agreements with Hyatt group of hotels to manage our 5 star deluxe hotel property with 126 keys at Cochin near Maradu, Ernakulam, Kerala, India; in the brand name of Hyatt Kochi. Hospitality infrastructure is a very specialized vertical in building industry. AMV Resorts Pvt Ltd: is a subsidiary company of AMV Builders which along with AMV Inns Pvt Ltd. is into developing hospitality infrastructure. The first project of the group is in Munnar, the most famous hill station in Kerala and one of the best tourist spots which retains its natural beauty. AMV Resorts have signed management agreements with Hyatt group of hotels to manage the hotel property with 120 keys at Munnar Kerala, India; under the brand name of Hyatt Place, Munnar. Aquaplast India: was incorporated in the year 2004 and is the first venture of the group. The early years of the new millennium marked frantic growth in the building and construction industry. Sensing that there is lack of quality pipe and pipe fittings in the market, Aquaplast started importing quality PPR Pipes & fittings into the Indian market. Aquaplast quickly became a synonym of quality and became the brand of choice of many builders in India. INDO-LANKA Hotels Private Ltd: we chose to develop a 5 star deluxe hotel in Colombo, Srilanka. Indo-Lanka Hotels Pvt. Ltd.. has already signed a management agreement with an international hotel brand to develop this hotel with 230 keys. This is a Joint Venture together with a Srilankan nationality who is a prominent figure in the society. The project is expected to finish on or before 2018. AMV Exim Pvt Ltd:Our group having a trading track record of several years is launched to market Indian spices throughout the globe to cater the needs of the Middle East, Europe, Far East and other countries around the world. Our company shall focus on quality products only. This venture shall achieve its target to be the best quality exporters of spices from India. Our group presence in Sri Lanka and Middle East shall give more exposure in procuring and marketing products. Our company will mainly deal with spices like black pepper, cardamom, nutmeg, dry ginger, turmeric, coriander, chillies etc. AMV TEL MOBOILE: "ZSTONE is the mobile brand promoted by AMV TEL PVT LTD with an aim of importing and selling of high quality and value driven smartphones. "ZSTONE is a new generation smart phone combining the technology innovation and cost advantage, backed by superior R&D"
Suresh Enterprises Private Limited (SEPL) is a constituent of the SEPL Group, one of the leading business houses in Hubli. SEPL was established and founded by two passionate Entrepreneurs and renowned visionaries, Shri. Suresh - Shejwadkar and Smt. Sindhu - Shejwadkar. Hoysala Projects has been changing the way people live, work and play since 1998. Founded by Mr. T.S. - Sateesh, Chairman and Managing Director, it has quietly and organically grown into a leading real estate developer in South India. Headquartered in Bangalore, Hoysala Projects is primarily focused on residential projects. Over the years, we have successfully delivered over 25 projects in Bangalore, Kochi and Kottayam. In Bangalore. GR Projects is a real estate development corporation operating in Bangalore. We focus attention in providing world-class property development in residential villas. We operate on the belief that long term excellence in the building industry is achieved through pride in workmanship combined with maximum value and client satisfaction. Matoshree, Provides, a spectrum of real estate related solution under one roof. Our unique structure operates as per ISO 9000 standards. and is well equipped in contracting, construction, and finance, and loan processing, legal documentation, registration and customer support. Matoshree, the very name is a symbol of trust, security and comfort. Our strength, apart from building homes, townships, shopping malls etc. Helios Construction Services was founded in 2008 as an integrated Construction Management firm. We believe our greatest asset is our people. Our experienced team comes from strong backgrounds in Architecture. Engineering and Construction, and have worked as Owners, Contractors and Subcontractors, allowing us to have a 360 degree view of our field. The LAXMI BUILDERS is established in 1990 the than named as New Laxmi Construction Co.
promoted by Shri R.G. - BAJPAI as a proprietary concern.The FIRM has got high integrity and undoubted reputation as Developer & Builder. LTC group of company is a technology, engineering, construction and manufacturing company. It is one of the largest and most respected companies in India's private sector. LTC has an international presence, with a global spread of offices. with offices and manufacturing facilities in multiple countries. the company in 1971 PANDEY EARTHWORKS PVT. LTD. incorporated on 03-01-1991 One of the leading Civil Contractors in mumbai. Today PANDEY EARTHWORKS PVT. LTD. is a leading company of Pilling foundation Engineering and Infrastructure Development Company with a Primary focus on development of Commercial and Residential buildings. Towers, Metro Rails, Bridges by Using Hydraulic Rotary Rings like Mait HR 130, HR 180 and excavators continues to strive for Excellence. PANDEY EARTHWORKS PVT. 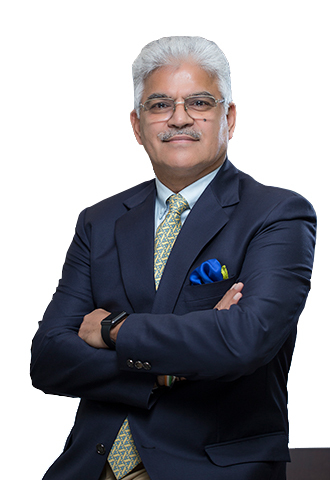 LTD. lead by Mr. D. A. Pandey maintains the reputation of being the best in the industry and to build upon its competitive strengths and business opportunities to become a leading construction and infrastructure company in India. PANDEY EARTHWORKS PVT. LTD. has been most active in all over the India. Incorporated in the year 2002, ISO 9001:2008 Certified M. V. OMNI PROJECTS (INDIA) LIMITED (MVOPIL) is proficient company engaged in wide array of fields comprising of Civil Infrastructure, Irrigation, Railways Engineering, Signaling & Telecommunication, City Gas Distribution and Oil & Gas Pipelines. MVOPIL has evolved as a pioneer in all the industries that it has step into and lead it with the epitome of values and expertise. A licensed and approved Electrical Contractors by the Government of Gujarat, MVOPIL has accomplished 33% of compound annual growth rate since last five years. Capital Electech (P) Ltd. established in 2005 and Takes over Capital Engg. Works which was working since 1985 and since then it have achieved No. of mile stone. We are a leading electrical service contractor with experience of over 30 years. We are engaged in the business of details engineering and installation, testing and commissioning of electrical projects. A One Group is a Conglomerate, working in diversified sectors such as Real Estate, Retail, Clothing, IT, Food Industry, etc. The success story of A One Group cannot be imagined without its dedicated and experienced promoters and directors. In the last decade, A One Group has touched the lives of over 3000 individuals through it’s construction projects. Given employment to 1000s of individuals and contributed to the society at large. Century Real Estate focuses on building aesthetically and structurally remarkable projects. A full service landholding development company that offers the best commercial properties and residential properties in Bangalore. Century Real Estate has changed the outlook of modern Bangalore into a global city by being responsible for several landmark developments. With an industry experience of over 40 years, Century Real Estate is the largest land owner in Karnataka. With an intent to create a disruptive sourcing marketplace Infra Bazaar was ideated. Our aim was to bridge the gaps in Infrastructure domain. Having understood the challenges in sourcing and delivery we came up with our Innovative Digital and Mobile Platform. We have created this platform to educate and create a marketplace/exchange for the infrastructure industry. The idea is to actively engage both domestic and international suppliers and purchasers with value propositions. Our Services encompasses a wide array of products. We have created a nice platform to Buy, Sell and Rent infrastructure equipment and construction material. We facilitate equipment financing, project financing and strategic investment and providing insurance too. We showcase the latest machinery, products and technologies applied in construction and mining. We offer valuation services and purchase, disposal and loan collateral purpose. We provide a unique auction platform for asset disposal and fleet management. 'Kv Konstech Equipment Pvt. Ltd.' has emerged as the prominent and renowned manufacturer, exporter, distributor, trader, retailer, importer and wholesaler of an exquisite range of Construction Machinery and Equipment that is highly admired across the market. Our product range comprises of Concrete Trowel Machines, Internal Vibrators, and Earth Rammers. All these offered products are designed from finest grade basic components under the assistance of our highly skilled and experienced professionals. Paint Protection Systems with a new marine coating product based on nanotechnology from a company with the unlikely sounding name of I-CanNano. The company is based at The Innovation Center for Applied Nanotechnology in West Bengal. and the I-CanNano company is the brainchild of Dr Arup - Chatterjee, who is described as a global authority on nanotechnology. a global authority on nanotechnology & nano-materials. I-CanNano has developed robust process technology for industrial scale manufacturing of nano-materials that are tunable. Kiran Trivedi, Chairman of Kiran Trivedi Group and grandson of D. K. Trivedi was the first to bring mechanized marble quarrying and fabrication. of stone to India in 1970s. He is an industry leader in stone quarrying, processing and design business. The Kiran Trivedi Group is the largest integrated stone group today. The Group is engaged in providing homeowners, contractors, developers, architects and designers a wide range of custom fabricated stonework. The Group’s footprint extends over India, United States of America, United Kingdoms. Kenya, Belgium, Italy, Australia, Saudi Arabia, Dubai, Kenya and Mauritius, Vietnam and New Zealand. Trivedi Corp Pvt Ltd, Abu Road : Manufacturing slabs & tiles and Carved Stone Products using latest machinery from Italy & Germany. Trivedi Tectonics, Ahmedabad : 100% Export Oriented Unit. Produces value added stone products on CNC and numerically controlled machines. DPM Design, Ahmedabad : Produces stone handicrafts. Employs over 100 highly skilled artisans. Ocean Black Marble, Abu Road : Marble quarry. Produces Ocean Black marble blocks. DK Trivedi & Sons, Ambaji : Marble quarry. Produces Ambaji White marble blocks. Trivedi Grani Marmo Pvt. Ltd. is a sister company of D K Trivedi & Sons and is one of the companies under the Vijay Trivedi Group. D K Trivedi & Sons was established by late Mr. D K Trivedi back in 1949 and is responsible for revolutionizing the marble mining industry of India. by becoming the first company to operate a fully mechanized mine in the country. Vijay Trivedi Group has come a long way from being just a marble mining business to becoming a fast growing marble mining, wholesaling and retailing businesses. As a agrocare & infradeveloper india limited, is incorporated under company act-1956, having registration No-U45400UP2011PLC048107. Main object of the company is to develop uncultivated agriculture land and turn to account by laying out ploting and preparing the same for sale purpose. also to carry on the business of construction of residential house, commercial buildings, flats and factory,s sheds and buildings in or out side of india. 2/293, Vishal Khand Gomti Nagar, Lucknow. Founded in 2003 by Dr. Mangesh - Joshi ( Ph.D IIT B), Sanrachana has now evolved into a fast growing organization spread into four dynamic & diversified divisions. with over 400 people working together across pan India centers. Over last 13 years, we have successfully demonstrated our capabilities with over 1200 projects. Sanrachana delivers world class services, products & technologies for structural repair, restoration and retrofitting with assured quality. Sanrachana is an ISO 9001 certified organisation. the Washington Business Group, we are committed to making the DC Metropolitan Area a better place to live and work. one building, and one community at a time. We save taxpayers money by offering our federal clients the highest quality. most cost-effective construction management services in the area. And, of course, we do the same for our private sector clients and nonprofits—large and small. 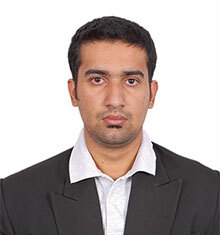 Born in New Delhi, India, Dinesh Kumar Sharma came to United States of America in 1991. Dinesh has established the headquarters of Washington Business Group in Ward 8 of the District of Columbia, creating jobs in DC metro area. Dinesh is also helping DC government in its revitalization efforts by developing small to mid size real estate projects in depressed areas of the city. As a result of WBG’s landmark North Capitol Street project at the intersection of ‘O’ Street and North Capitol Street. Dinesh was honored to appear in the marketing material of a leading local bank as one of the most successful area entrepreneurs. Capacite Structures Limited (CSL), is the flagship Company & mechanical division of the multifaceted Capacit'e Grou. power, oil & gas, offshore installations, ports & jetties and allied projects. The company's inception in 1996 was resultant of the erstwhile Pratibha Groups (consisting & comprising of Pratibha Industries Limited. of the flagship company of the Group - Pratibha Industries Limited. EPICONS CONSULTANTS PVT.LTD. is a fast-growing professional consultancy firm established in 1985. The Company is managed by post-graduate Structural Engineers having 20-35 years of rich & diversified experience with each of them. The company operates in the fields of Civil Engineering, Architectural design, Structural design, Project Management. Structural Audit and NDT and Building Services Consultancy. The company has handled variety of jobs of various magnitude situated at different locations over last Thirty years. Field Engineers, Architects, Technicians, Supervisors, and Draftsmen etc. Soiltech India Pvt. Ltd. (SIPL) is a Drilling and Geotechnical engineering consulting firm with its registered office in Mumbai (India). and head office in Pune (India). Our services are strongly rooted in three core areas - Geotechnical Engineering, Environmental Engineering. to their business. 35 years of experience. 1000+ projects. Misra Group of Companies is a full-service Architecture, Interior Design, Project/Construction and Property Management organization. We provide our clients with the accrued benefits of comprehensive services coordinated under a single-source responsibility. We are an ISO 9001-2008 civil engineering infrastructure construction company in India. Runways, Buildings, Bridges / Flyovers and Roads. We also handle project in irrigation, cable ducting, Marine Works and Area Development. B. L. Kashyap and Sons Ltd. (BLK) is one of India's most respected Construction, Infrastructure and Civil Engineering companies. Hotels, Residential Complexes, Factories, Institutional buildings and Manufacturing Facilities, Healthcare and Transportation. Ever since its incorporation at the turn of the century, Sukhyog has engaged itself in premium apartments and development projects. and quality experiences to their client. Furthermore, the team is associated with several social organisations reputed services for the past 25 years. client servicing.Innovators has been born out of the expansive personal experience of the promoters in the domain of real estate. Innovators has been created to fulfill the gap that they have had experienced construction industry; especially in the building enveloping segment. Company is in Civil Engineering Construction contracting business for more than 25 years. mainly in construction of Roads, Buildings, Tunnels and Hydropower projects. The Company has also forayed into National Highways Road Construction. 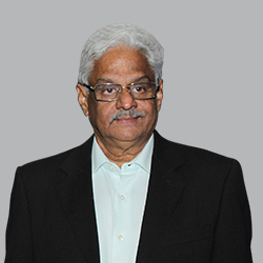 The company, headed by Mr. Sanjay Deshpande, has a elaborate portfolio in the field of construction & development. Actively working on ecological balancing methods in Pune City. comparable to the best in the world well within your reach.